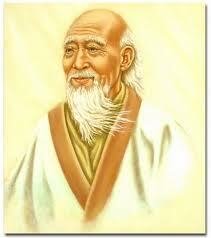 Tao Te Ching (The way and its power) was composed by Lao Tzu, as a record of his teachings, at the request of a guard. Lao Tzu was a Chinese philosopher, who lived in the sixth century B.C. He was the keeper of archives at the Imperial court. At one time he got disillusioned with people around him, quit his post and set out for the western border of China. At the border gate, a guard, Yin Xi requested Lao Tzu to record his teachings for the benefit of people like him and that is how Tao Te Ching was born. It is really a compilation of paradoxical poems. Reading these poems one is struck by the similarity between Tao of Lao Tzu and Brahman, as revealed by the Upanishads. Tao, meaning ‘Path’ and Brahman, meaning ‘Big’ are only just terms of reference for the Cosmic Supreme. Both are only names given and not the name of the Eternal. Lao Tzu’s statements are also in paradoxes like the Upanishadic truths. One reason why paradoxes are employed is that they jolt our usual thinking process and make us pause and ponder. They are pointing the finger the Supreme’s way and they want you not to look at the finger but in the direction it points. For the Cosmic Supreme is not a thing or object of comprehension but one of realization by oneself following the path shown. Guru and scriptures can only show the way; one has to travel that way and realize the Cosmic Supreme for oneself. This means that Tao is not only the creator but also the nourisher and also final refuge for all things created and Brahman is described as the srishti, sthithi, laya kartha for this universe, in Taittreya Upanishad. Tao is described in this verse as very small and very great and Brahman is also described as smaller than the atom and greater than the greatest in more than one Upanishad.